[Des Plaines, IL, April 24, 2018]– (RealEstateRama) —The National Association of the Remodeling Industry (NARI) named 40 National CotY winners and 20 National Team Member Winners at their annual Spring Business Meeting. Contractors from seven regions nationwide vied for the highest industry award recognition on an annual basis. An impartial panel of judges, who are experts within the industry and associated fields, selected winners based on problem solving, functionality, aesthetics, craftsmanship, innovation, degree of difficulty and entry presentation. CotY Awards have 45 separate categories and this year’s competition equates to over $123 million worth of remodeling projects. All CotY™ winners demonstrate their dedication and commitment to “Remodeling Done Right™” which is NARI’s promise and tagline. Excellence and professionalism is exemplified in their exceptional work ethic from concept to completion. CotY™ award-winning companies enjoy recognition from industry leaders and peers. 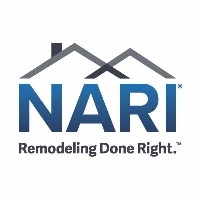 NARI presents CotY™ awards annually to members who have demonstrated exceptional work throughout their remodeling projects. NARI is a professional association whose members voluntarily subscribe to a strict code of ethics. To be considered for a CotY™ Award, a company must be a NARI member in good standing. Learn more at Nari.org/industry/recognition/coty/.